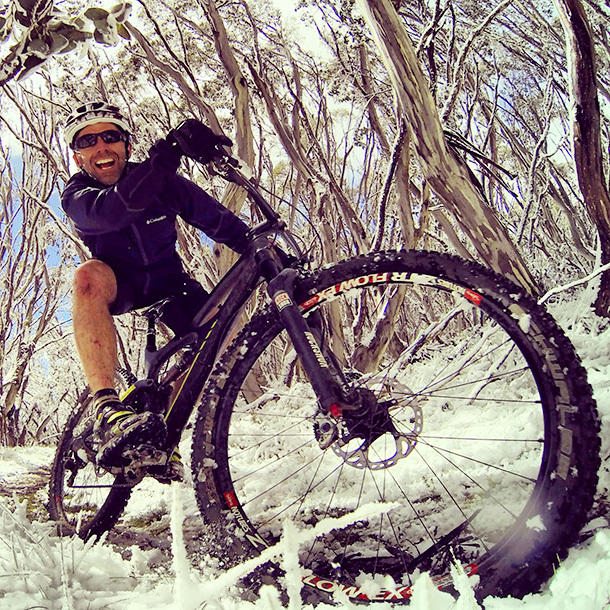 Here’s something you don’t see that often in Australia – snow mountain biking… in Summer! 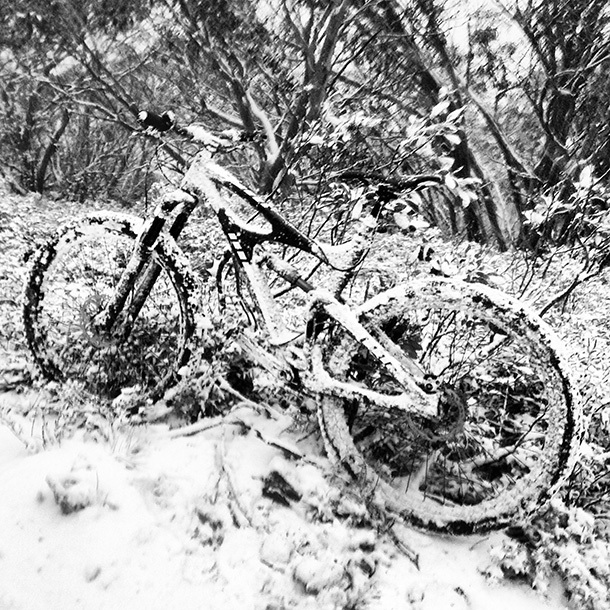 There were a few snow flurries during the day while working high on the side of Mt Stirling but it was only early in the evening back at Mt Buller the snow really started to puke down. Even though we’d all frozen during the day there was no way we weren’t going to head out for a dusk snow MTB ride. 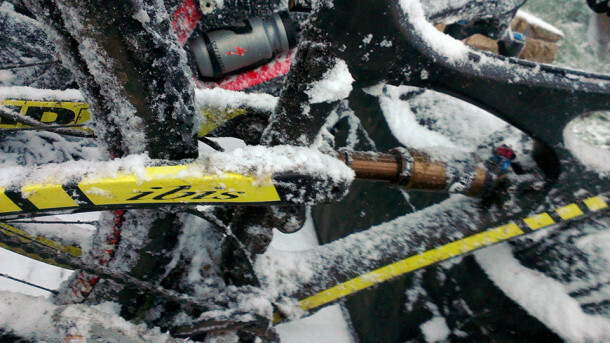 It was bitterly cold but huge fun. 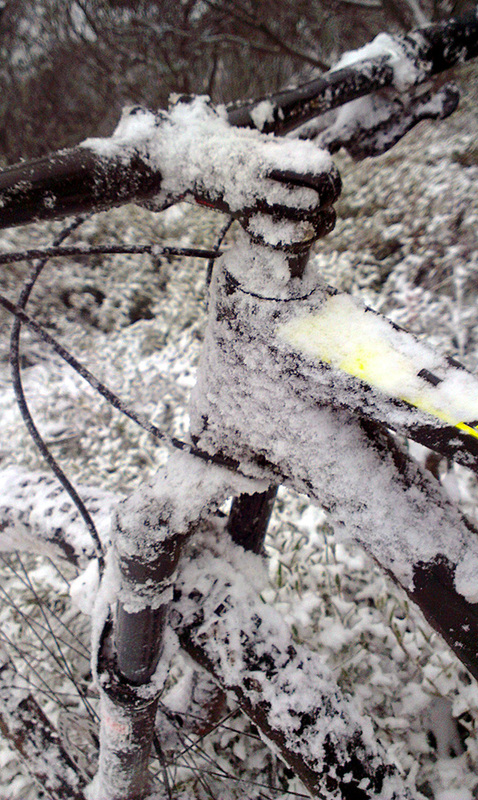 Within minutes bikes were coated white. 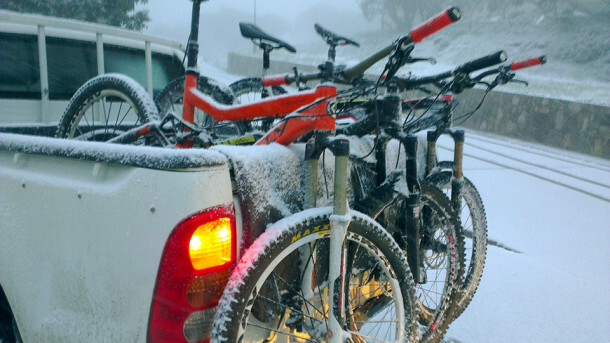 Even better was that the snowfall continued overnight which meant a morning snow MTB ride was on the cards while we waited for the roads to clear. Mojo HDR feelin a little fresh!